In contrast to PageSpeed Insights, GTmetrix has a lot of suggestions to speed up blog loading, one of Gtmetrix's suggestions that PageSpeed Insights does not have is Make Fewer HTTP Requests. 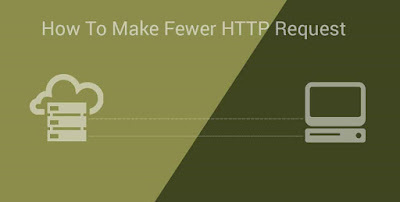 In this article, I will discuss how to overcome Make Fewer HTTPS Request, both for bloggers and other platforms. What is Make Fewer HTTP Requests? Make Fewer HTTP Requests. In other words, we are advised to reduce outbound requests (such as external scripts being hosted out). This issue has High priority in GTmetrix, so make no mistake if your score becomes ugly when there is a lot of HTTP requests. Now, let's move on to how to solve it. Until here you have to understand what I mean. Optional: You can split the script from one script to another using comment, for example as above: // Script 1, // Script 2. Remember, use a double slash mark to use comment. Done, actually, this way is quite easy to do so loading your blog to be fast. However, some people are lazy to do so because very hard if you must open one-by-one. In fact, little things like this when underestimated will have a big enough impact on SEO.